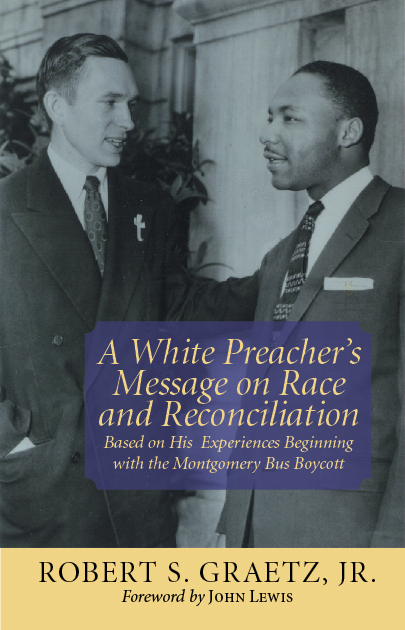 In 1955, when the Montgomery Bus Boycott began, author Bob Graetz was the young white pastor of a black Lutheran Church in Montgomery. His church and his home were in the black community and he and his wife among the few whites who supported the boycott. Their church and home were both bombed; their lives were threatened often. But Graetz never wavered, and his Montgomery experiences, recounted in rich detail here, shaped a long ministerial career that always emphasized equality and justice issues no matter where his call took him. In addition to Graetz’s boycott memoirs, this book includes provocative chapters on white privilege, black forgiveness, and the present-day challenges for human and civil rights.